This ecological All Purpose Cleaner from Ecover is produced with a newly developed Biosurfactant formula to naturally and hygienically clean all hard washable surfaces. Fragranced with the pleasant scent of natural lemon this All Purpose Cleaner harnesses the effective cleaning power of nature leaving no residues of unnecessary chemicals. With quick and complete biodegradability this cleaner is designed to have miniumum impact upon aquatic life yet is still strong enough to be suitable for septic tanks. Also available in a 500ml bottle and the economical 5 Litre refill boxes. Instruction for use: Economical to use. For all washable surfaces floors tiles and painted wood. Use 1 to 2 capfuls in half a bucket of warm water (about 5 l). For obstinate stains use undiluted and wash off with a soft wet cloth. Wipe with a dry cloth for extra sparkle. 1 cap = 30ml. 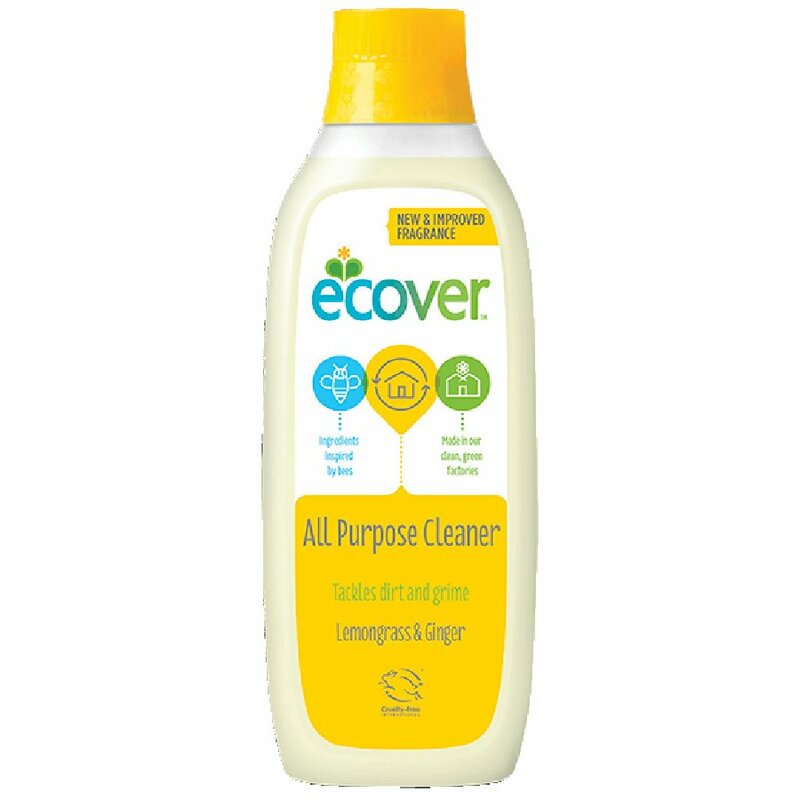 There are currently no questions to display about Ecover All Purpose Cleaner 1L.